Congratulations to James K. (Jim) Fredrickson on being elected an American Association for the Advancement of Science (AAAS) Fellow. The AAAS is the world's largest general scientific society, and publisher of the journal Science. The AAAS gives the distinction of Fellow to members who have made efforts toward advancing science applications that are deemed scientifically or socially distinguished. A Laboratory Fellow in Pacific Northwest National Laboratory's Biological Sciences Division, Fredrickson was selected based on his "leadership in the field of microbial ecology and environmental microbiology, with emphasis on biogeochemical transformations of metals and radionuclides." As a Chief Scientist within the Biological Sciences Division, Fredrickson is responsible for laboratory and field research programs investigating the microbial ecology and biogeochemistry of geologically diverse subsurface environments and is recognized nationally and internationally for these efforts. He is Chief Scientist for the U.S. Department of Energy's Genomics: GTL program. He was recently named to the National Research Council's Committee on the Astrobiology Strategy for the Exploration of Mars. Fredrickson is a member of the American Academy of Microbiology, American Society for Microbiology, and the American Chemical Society, and is on the editorial board of Environmental Microbiology. 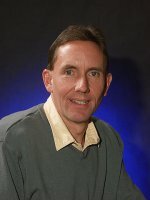 He co-edited the book Subsurface Microbiology and Biogeochemistry, published by Wiley-Liss, Inc. in 2001.